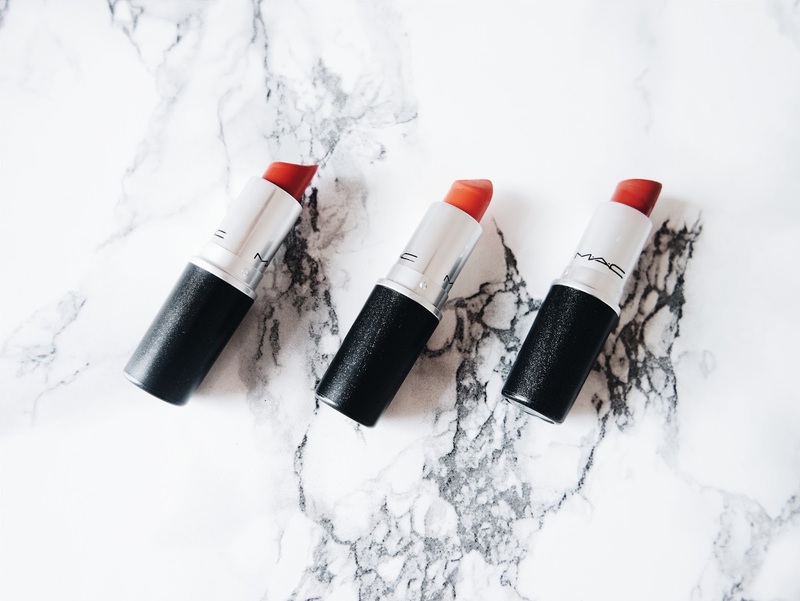 This lipstick is a perfect 'classic' red and is great for a day time look. I've been using this for... oh god knows, probably like 3 years and I am obsessed with it. Since I have pale skin, I always gravitate towards bold colours and as soon as I tried this, it instantly became holy grail. It is a satin finish and feels super creamy on the lips, which I love. I like wearing this with a gold tone eye shadow on the lid and a pale complexion to really make my lips, as well as my eyes, stand out. 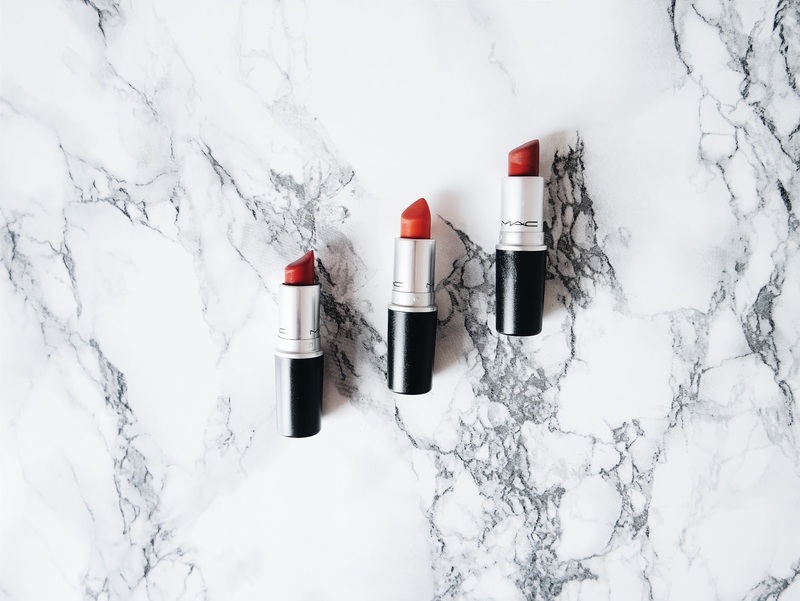 I remember ages and ages ago, I was watching one of Essie Button's vlogs when she was wearing a bright red top along with a stunning red lipstick and after rooting through her description box, I found out that it was Lady Danger! It looked sooooooo good on her that I just had to try it out. I've been wearing this loads recently and love it along with a peachy blush and quite bare eyes - I think it makes for a unique look. Russian Red is gorgeous, dark and mysterious. It goes on the lips really easily and even manages to make your teeth look all nice and white. This is a shade that I love wearing during the colder months and it's definitely got that 'old Hollywood' style to it. I like wearing this with a shimmery eye colour and strong brows, to create a fierce look. Russian Red is one of my faves too and Lady Danger is next on my list to buy! I may have to invest in one of these, I have pale skin so I've always thought a bold red colour wouldn't suit my skin tone!